A pro life ad sponsored by Focus on the Family is going to be shown during the Super Bowl. 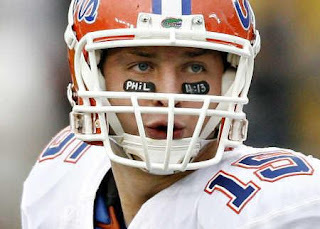 The ad features Tim Tebow the Heisman trophy winner whose mother gave birth to him despite doctors' advice that she undergo an abortion. According to LifeNews.com , Pam Tebow and her husband were Christian missionaries in the Philippines when she became pregnant with "Timmy." During the pregnancy she contracted amoebic dysentery and went into a coma. Doctors told her that the strong medications used to treat her had damaged her baby and that she should undergo an abortion. 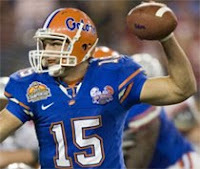 Mrs. Tebow refused the abortion and told the doctors that her Christian faith would sustain her. She gave birth to a healthy baby in August of 1987. Of course, the usual suspects are screeching over this ad. It makes you shake your head in wonder. What, in heaven's name, do they find objectionable in an ad that tells this beautiful story and promotes the sanctity of human life? It is an irony that the same people who parrot the phrase that they want abortion to be "safe, legal and rare", almost never go along with any movement to reduce the numbers of abortion. Not sure how abortion will become "rare" unless we're able to get out the pro life message.